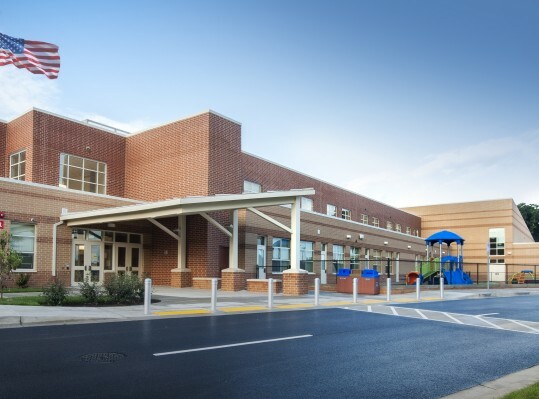 The original Brown Station Elementary School was constructed in 1979. RRMM Lukmire prepared a space needs analysis and found that the school was undersized by about 50%. 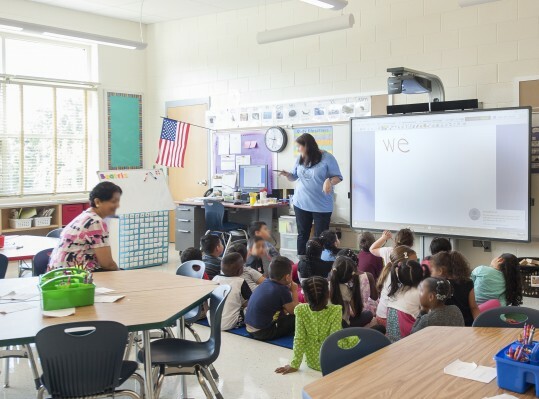 A series of two and three-story options were examined to determine how to best expand the school without using too much of the small site. 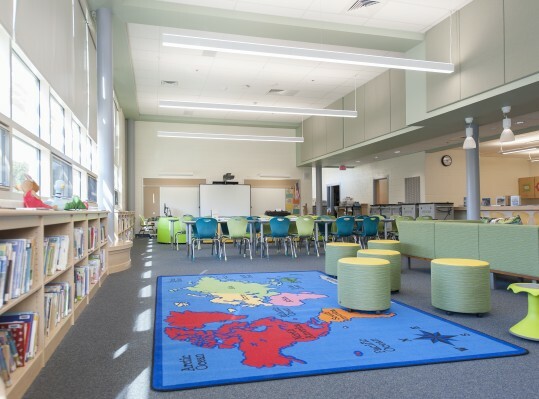 The community and Montgomery County Public Schools chose the three-story option. 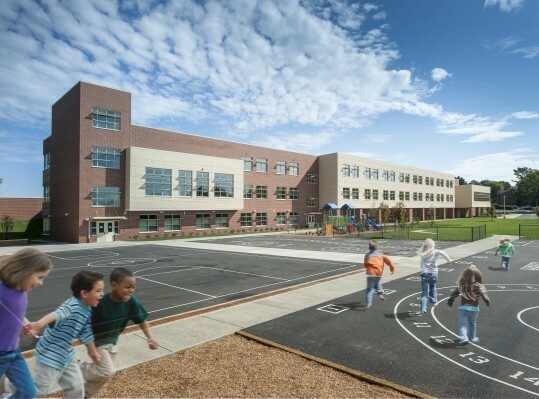 RRMM Lukmire completed the design for the new, 106,000-SF school and associated sitework including all parking, bus loop, child drop-off space, and playing fields. A self-contained County day care facility was also incorporated into the new building. The design concept of the school is based off a train station with VTC flooring designed to look like a metro map. The inspiration comes from the nearby, historic Brown Train Station. 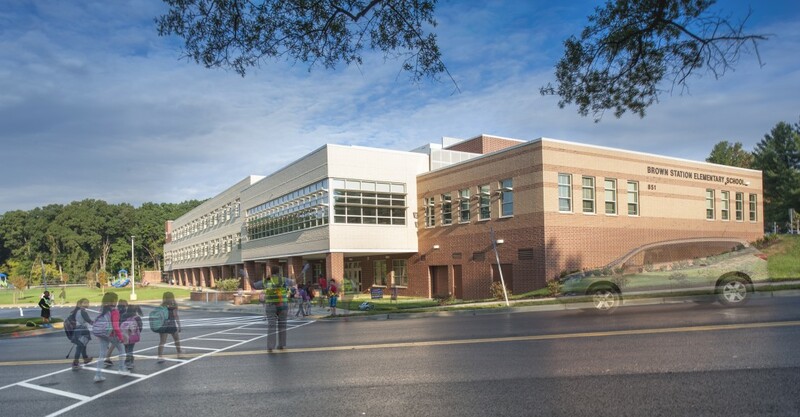 The new building is designed to meet a LEED Gold Certification, which is pending. 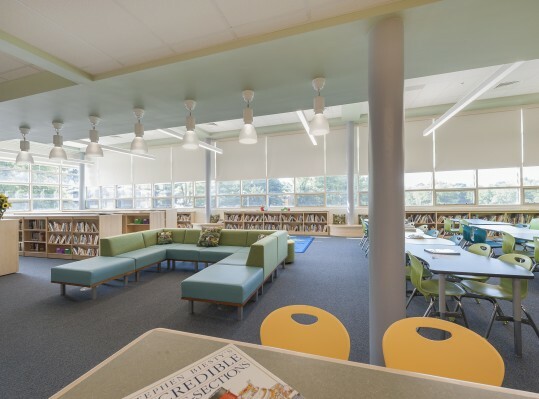 Sustainable features include geothermal wells that tap into the natural geothermal energy beneath the Earth’s crust as well as an abundance of windows to provide natural light. 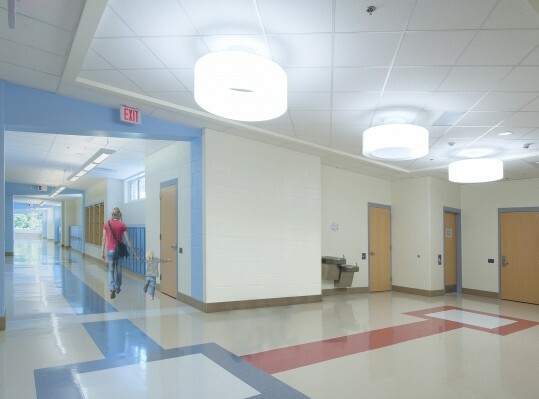 The school’s lighting controls include occupancy sensors that automatically turn off lighting when the room is not in use. Exterior lighting is designed with no uplight to minimize light pollution into the night sky. This design earned a Pilot Credit for interior lighting quality and a credit for low mercury fixtures. Low-flow water-saving plumbing fixtures are also used to reduce overall building water usage.